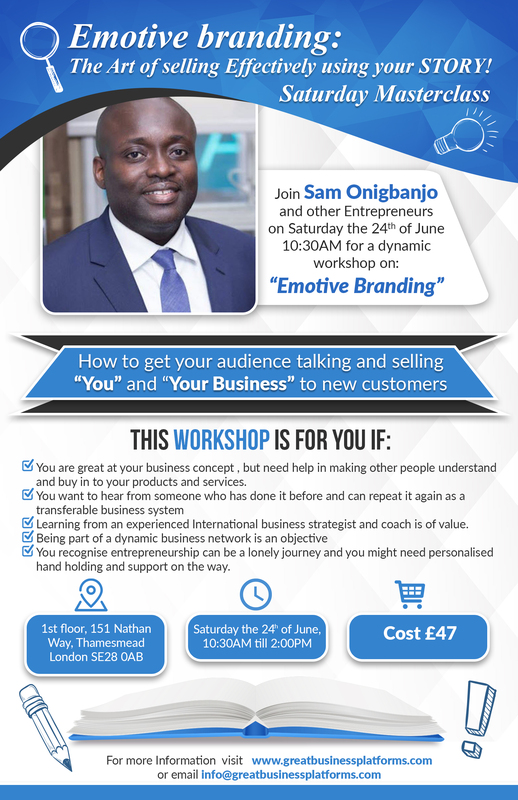 This Masterclass will be delivered by Sam Onigbanjo with Live case studies from his Mastermind coaching academy. Hear how in May 2017, Emotive Branding used correctly closed on a bank deal worth over a million for a mastermind member, in one day! Also, how Emotive Branding helped *change* the perception and positioning of another mastermind member, which resulted in 80% of her stock being sold in one day! Plus, video testimonies of happy delegates from our last Emotive Branding Masterclass. Emotive branding is the most exciting business tool to emerge in recent times. 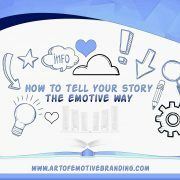 If you need one new business tool to turn things around then it’s Emotive Branding! Sign up to Sam’s Masterclass right now!